In the spirit of Valentines Day here is a list of the best romantic movies. Snuggle up on the couch and enjoy these great romances. I ranked these romantic movies I chose using their IMDB ratings. Famous quote: Kate: It’s kind of a long distance relationship. This time-travel romance was directed by Alejandro Agresti and reunites Keau Reeves and Sandra Bullock (they were in Speed together). 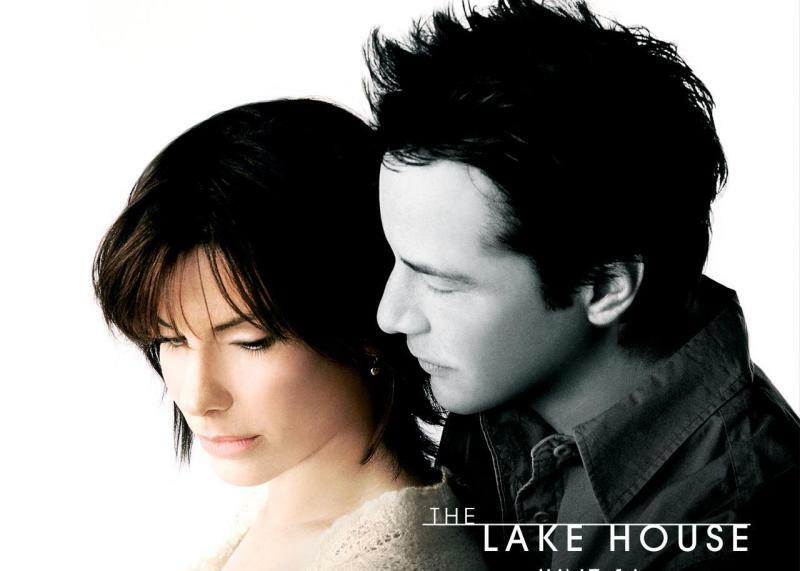 The movie is about Dr. Kate Foster who moves from her lake house and leaves a note in mailbox for the new tenant, Alex Wyler and asks he forward her mail. After a few responses back and forth, they realize they are not only living two years apart but also sharing a female dog named Jack. The special mailbox serves as a mini-time machine. The two fall in love and try to find a way to ‘beat the clock’. The Vow is a love story based on a true story starring Channing Tatum and Rachel Adams. A car accident leaves Paige (Adams) with selective amnesia, she knows who she is but does not remember her loving husband and the five years they had together. Now Leo (Tatum) must try to find a way for Paige to fall in love with him all over again. 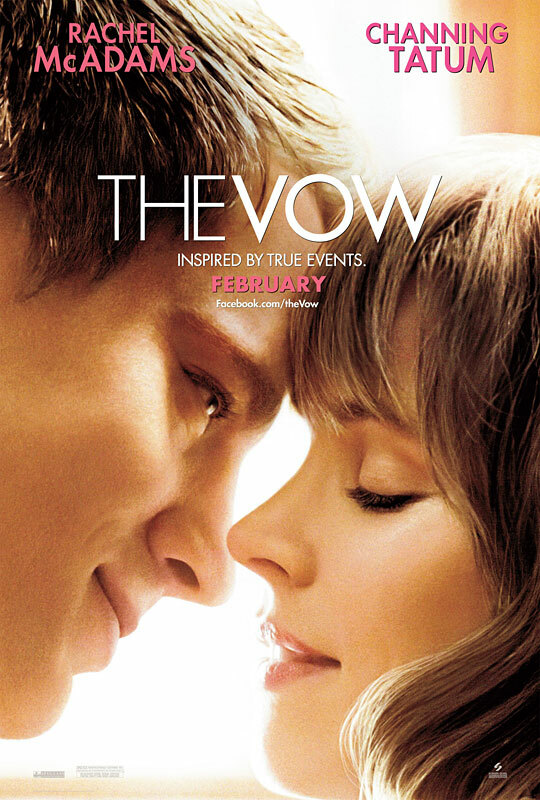 The Vow was a box office success, becoming the sixth highest-grossing romantic drama film of all time. A bank executive (Patrick Swayze) is murdered during a botched mugging after a date with his girlfriend (Demi Moore). He then finds himself walking Earth as a ghost, and seeks out help from a spiritualist to communicate to his girlfriend the danger that she is in. Ghost was nominated for five Academy Awards. It won the awards for Best Supporting Actress for Goldberg and Best Original Screenplay. Swayze and Moore both received Golden Globe Award nominations for their performances. Out of Africa is lensed with beautiful cinematography and stars a pair of winning performances by Meryl Streep and Robert Redford. 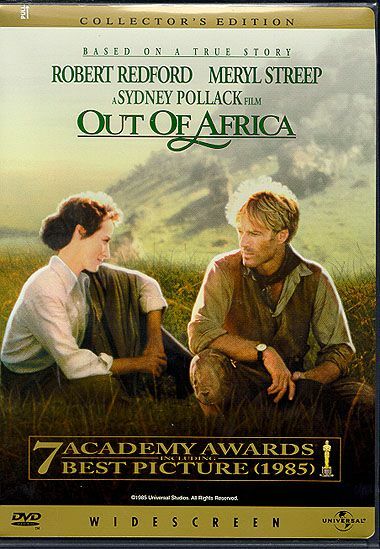 Out of Africa is drawn from the life and writings of Danish author Isak Dinesen and is directed by Sydney Pollack. In 20th century colonial Kenya, a Danish baroness/plantation owner has a passionate love affair with a free-spirited big-game hunter. This film received 28 film awards, including seven Academy Awards. Famous quote: Francesca: And in that moment, everything I knew to be true about myself up until then was gone. I was acting like another woman, yet I was more myself than ever before. The brief, illicit love affair between an Iowa housewife and a post-middle-age free-lance photographer is chronicled in this powerful romance based on the best-selling novella by Robert James Waller. 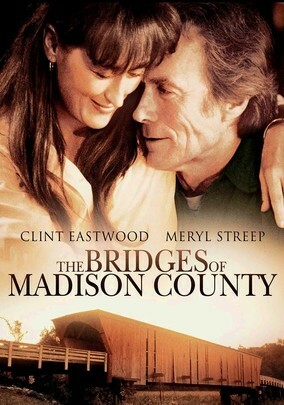 The story begins as globetrotting National Geographic photographer Robert Kincaid journeys to Madison County in 1965 to film its lovely covered bridges. Upon his arrival, he stops by an old farmhouse to ask directions. There he encounters housewife, Francesca Johnson, whose spouse and two children are out of town. Thus begins their four-day affair, a liaison that fundamentally changes them both. Later Francesca chronicles the affair in a diary which her flabbergasted grown children read; never would they have expected their mother to be capable of the passion she experienced with Kincaid. The book the movie was based on by Robert James Waller is one of the bestselling books of the 20th century, with 50 million copies sold worldwide. This is a great old fashioned love story but with new dialogue. Harry is played by Billy Crystal and Sally by Meg Ryan and the two make a good on screen couple suggesting genuine warmth and tenderness. Harry and Sally meet when she gives him a ride after they both graduate. The movie takes you through their lives as they both search for love but fail, bumping into each other on the journey and a friendship blooms. The soundtrack consists of standards performed by Harry Connick, Jr., with a big band and orchestra arranged by Marc Shaiman. Connick won his first Grammy Award for Best Jazz Male Vocal Performance. This movie is an adaptation of the book by Nicholas Sparks. The movie is about a young and passionate man, Noah Calhoun (played by Ryan Gosling) who falls in love with a rich young lady, Allie Hamilton (played by Rachel McAdams). Allies parents disapprove and move her away. Allie becomes engaged to a handsome young soldier but then is torn apart as she must decide between her fiancé and her first love. The Notebook performed well at the box office and received several award nominations, winning eight Teen Choice Awards, a Satellite Award and a MTV Movie Award. 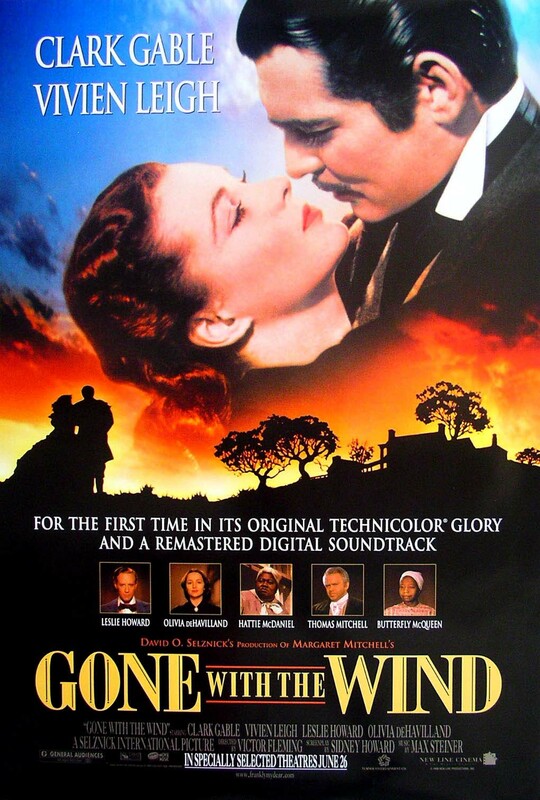 Gone with the wind is directed by Victor Fleming and stars Vivien Leigh and Clark Gable. This American classic is set in the South during the civil war and reconstruction. The story is about Scarlett, a beautiful but manipulative woman who carries out a turbulent love affair with a roguish man, Rhett Butler. It’s the history of a woman who does not want to admit to the feelings of the man she loves. The film received ten Academy Awards (eight competitive, two honorary), a record that stood for 20 years. A classic love story starring Humphrey Bogart and Ingrid Bergman. 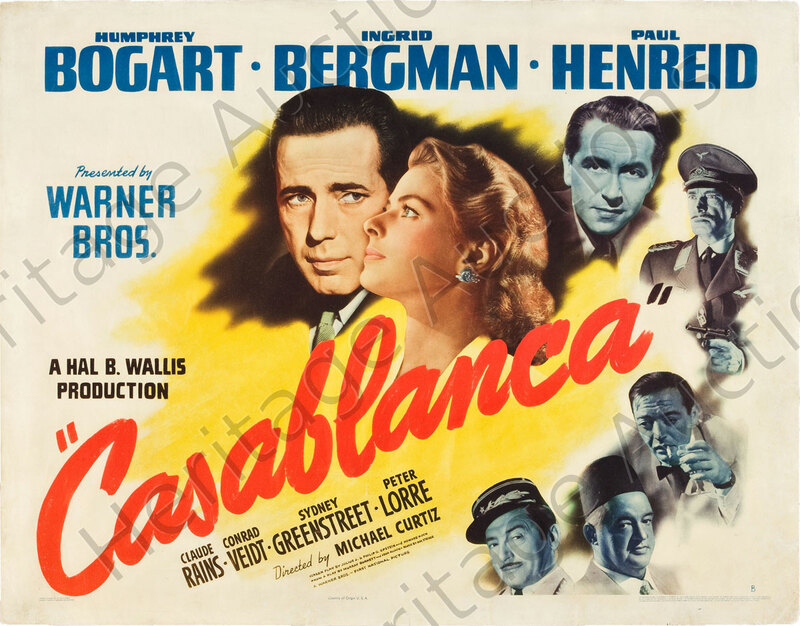 Rick Blaine (Bogart), a cynical American expatriate, runs a nightclub in the Moroccan city of Casablanca during the early days of World War II. Ex-love Ilsa Lund (Bergman) unexpectedly comes back into his life, but she’s now married. Rick is very bitter towards Ilsa, who ran out on him in Paris, but when he learns she had good reason to, they plan to run off together again, but it is never than easy! Casablanca won three Academy Awards, including Best Picture. I am no longer certain where you are getting your info, but great topic. I must spend a while finding out much more or working out more. Thanks for wonderful information I was in search of this information for my mission. I should mention one Turkish movie. Yepp i know almost no one watch that but its cute – “Hesapta Ask” ( http://viooz.one/6980-hesapta-ask-2016.html ). Idk i loved that!